As of 2018, Coinbase is the world’s biggest and most popular broker for Bitcoin digital tokens. The platform is operational in over 30 major countries and is trusted by many. Coinbase is largely famous for providing its users with high liquidity as well as buying limits. Also, there are an array of payment methods supported by Coinbase such as SEPA transfer, bank transfer, interac online, credit card buyout and much more. As we speak, Coinbase has transacted over $40 Billion USD worth of digital currency. The platform maintains a large user base and has served more than 12.9 Millions user. 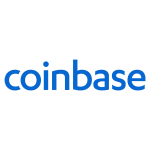 Based in San Francisco, Coinbase offers a dedicated exchange, developer API and wallet support to its users. Depending upon the type of payment, Coinbase applies face on your transaction. It may vary anywhere between 1.9% to 3.99%. What comes as a noting fact is that Coinbase only allows users to buy Litecoin, Ethereum and Bitcoin only. If you wonder whether Coinbase is safe or not, well, the platform complies with the USA Patriot Act, it also complies with the Bank Secrecy Act and has been registered with FinCEN as a Money Services Business. At Coinbase, users can make use of the platform’s Bitcoin mobile wallet application for both Android and iOS. You can now easily send Bitcoins to friends or make a purchase in the market with added ease. Security is what drives the whole endeavour at Coinbase, your coin wallets, transaction details, vaults etc. are all safe. By making use of a smartphone a user can buy and sell digital tokens directly and bank connectivity has also been equipped in the application. It’s worth noting than Toshi recently became the Coinbase wallet. Toshi was developed by Coinbase people a couple of years ago and it went on garnering the limelight at that time because the app had the world’s first dapp browser. Later Toshi went on launching the first ever crypto collectables. Today, with Coinbase wallet you can easily manage Ethereum (ETH) and all the ERC-20 tokens. It has been reported that the company will soon be adding support for Bitcoin (BTC), Bitcoin Cash (BCH) and LiteCoin (LTC) in their application. What comes as a fascinating fact is that with Coinbase application, you can even receive airdrops and few associated ICO tokens. You can even unlock your access to the giant performing decentralized exchanges for buying and selling purposes. Without any geographical constraints, you can now trade crypto on the go. Making a transaction off the blockchain radar is crucial and Coinbase wallet makes it easy for potential users. The application encompasses an intuitive user-interface. The application can be easily downloaded from Play Store and App Store. Users can simply log-in from their existing Coinbase accounts or can register from the application itself. Thus, trading with cryptocurrency is now more fun than ever.